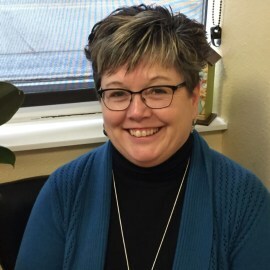 ​Deniece Cook has been the CTE Director & Principal of the Career Development Center in the St. Vrain Valley School District for the past 9 years. From 2006-2009, she was the Principal of Weld Opportunity High School/ Perkins Grant Manager with Centennial BOCES. Her teaching career began in 1985 as the Home Economics teacher at Milliken Middle School. From 1995-1997, she  taught FACS & ACE at Loveland High School. She returned to the Johnstown/Milliken school district in 1998 as the Roosevelt FACS teacher. From 2003-2006, she was the Dean of Instruction, CTE Director, Professional Development and District Assessment Coordinator for the Johnstown/Milliken school district.